This Eve Mattress review is going to share with you why they are amongst the best in the business. With over 2000 5-star reviews it’s no secret the Eve mattress is loved by people across the country. And I’m not surprised! The fact they are only sold online keeps the price low. Combine that with the 100-day trial period and 10-year guarantee means they’ve put their money where their mouth is. That’s all before we’ve even gotten to how the mattress feels and what a great sleep it gives you! So let’s dive into this Eve Mattress review and see what makes it so great. The Eve mattress is a one stop shop mattress suitable for everyone. Every type of sleeper and every body shape. I’m sure you’re wondering how a single mattress can be suitable for everyone. I mean everyone sleeps differently and we’re all different shapes and sizes, right? Well, it’s the three layer system of foam within the eve mattress that makes it quite so incredible. It can mould itself to every body shape and lets every type of sleeper sleep comfortably. Traditional memory foam had a lot of problems. Most people found they sank in too deep so they got stuck while they slept and couldn’t move around. The result was waking up with a sore back which is not what you want. Eve have done things differently, let’s take a look at what these layers are. Eve’s mattresses come with state of the art responsive memory foam. This trounces traditional alternatives by springing back to shape much faster. So it can still mould to your body giving your joints the relief they deserve after a hard day but it won’t trap you. This first layer is also only 4cm thick so you can’t sink in too deeply. It also absorbs all your body movement so if you share your bed you won’t be disturbed by your partner’s movement making it great for couples. This is 3 cm of cooling core memory foam that is 30% more breathable than other memory foam. This helps take the heat out from underneath you while you sleep so you don’t overheat and start sweating in the night. This is the foundation layer which gives it the bounce back you might not normally expect in a foam mattress. It resists you just enough to give you all the support you need through the night so you can sleep soundly and ache free. Finally, all this is wrapped up in a soft hypoallergenic polyester cover. The signature yellow sides to the mattress actually help provide better airflow through the mattress. This keeps the mattress fresh and cool so you can sleep comfortably through the night. It’s a lot easier to warm up than it is to cool off after all! The all important question, well I’d say it has a definite medium to medium-firm feel. It’s not as aggressively firm as an orthopedic mattress but it is firmer than most memory foam mattresses. The memory foam takes away from the bounce that you might be used to if you have a spring mattress. But this helps add to the comfort and peacefulness of the sleep by allowing you to keep still all night long. If you haven’t slept on a foam mattress before it will take some getting used to so when you order one give it a good long try before you make your mind up. And remember you have a 100 night trial period where you can return it for a full refund free of charge so take your time making your mind up. Eve Mattress Review – Who’s it Best For? Thinking the Eve mattress might be for you? Well if you fall into any of the categories below you’ll likely be right! Back, Side and Front Sleepers – Back sleepers will benefit from the firmer feel allowing proper support along the spine and hips. Meanwhile, side sleepers can sink into the memory foam, allowing their shoulders to sit at the proper level to keep the spine aligned and supported. Front sleepers will do fine as well, the firmness will stop the stomach sinking in and putting pressure on the neck. Couples – The memory foam takes the disturbance out of your movement so you can sleep soundly while your partner tosses and turns the night away. This coupled with the fact it is suitable for all sleeping types makes it perfect for two people who perhaps share different sleeping habits. If one of you climbs into bed after the other theirs no danger of you getting bounced out the other side! Hot Sleepers – The cooling middle layer of the Eve mattress, as well as the specially designed breathable cover, make it perfect for those who tend to run a little hot at night. If you’re worried you’d be too cold just remember it’s a lot easier to throw on an extra blanket in winter than it is to try and cool down in summer. Ages 3+ – The Eve Mattress is suitable for all ages from 3 and above and since it’s available as a single all the way up and through king to an emperor and beyond they have everybody in mind. A great mattress for children and the elderly alike. There is a 10-year guarantee on the Eve mattress which they are confident on because of their rigorous testing methods. Basically, they have this enormous machine which pushes a rolling pin back and forth over the mattress simulating 10 years of wear and tear. The result being that the mattress should only indent by about 2 mm after all this which is hugely impressive. Especially, given most things which offer that length of guarantee might just get used once or twice a month. This compared to a mattress you spend 8 hours a night on, 365 days a year, That’s a lot of wear and tear! Eve also offer a 100-day trial which is another testimony to the faith Eve have in their product. You have over three months to decide whether you like the mattress or not and if not can send it back free of charge. But over 95% of their customers are completely happy and I think you will be too. What’s really cool is that eve have a great big machine that rolls their mattress into a cylinder and vac-packs them. This way they can be delivered in a convenient box. They then pass the savings off the shipping straight on to you in the form of free shipping! Be warned that bigger mattresses are still quite heavy so you might need some help getting it through and onto your bed. You can keep the eve mattress in its box for up to 6 months, but the longer it stays in there the longer it takes to spring into shape. Eve are a British based company in London who are passionate about helping everyone get a good nights sleep. A very similar cause to here at The Dozy Owl, another contributing factor to why I like them so much! They do a lot of artistic projects such as having an acro yoga photo shoot on one of their mattresses. You can watch the behind the scenes below if you’re interested. The management team has had 12 years of experience dealing with mattresses and dealt with over 70 000 mattresses. All this before coming up with the perfect design which is the eve mattress we know today. The price for the Eve mattress is the tremendous value given the 10-year guarantee and the cost of some other mattresses! 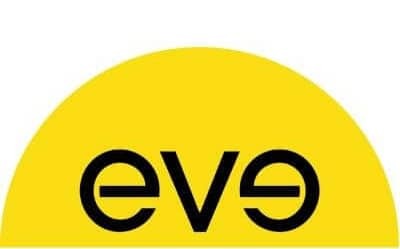 Click here to See Price at Eve Mattress. The Eve Mattress has taken the trouble and the hassle out of mattress shopping by going completely online. They’ve given us a superb product at a really great price and one that will last you over a decade. Anything you think I missed? Let me know in the comments below.